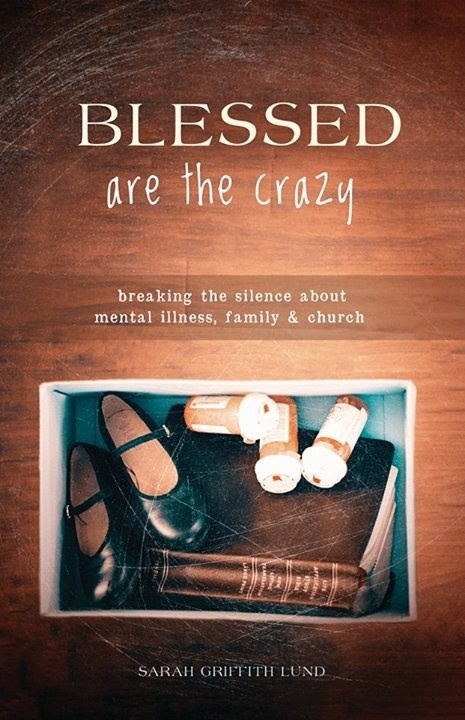 The people I know who live with mental illness and their family members are crazy strong. By now you know that I use the word “crazy” with intention. Here it means what my New England friend calls “wicked,” as in “that’s wicked awesome,” not as in the witch of the West. Crazy strong are those who day-to-day wake up in the morning on the precipice of catastrophe. It could be a quiet, smooth day where things hum along. Or it could be the day that all hell breaks loose and life is forever altered: 911 is called, psychiatric hospital forms are filled out, and everything is on hold. Becky stood close to me in the church hall as she shared in a lowered voice about her young adult son’s life with multiple mental illnesses. As she spoke tears poured from her mother’s eyes: eyes that have witnessed her baby’s first steps, first day at school, and first depressive episode. Becky stood strong as she recounted all the steps she’s taken to address her son’s health problems: all the phone calls, all the doctor visits, all the treatment centers, all the prayers. And still there is no real answer. There is no real cure. Her son is in a current stage of defiance, not wanting to take any medication. So she waits, crazy strong, for him. So she loves, the kind of crazy strong love of a mama bear. So she stands by her son, no matter what. And she cries right there in the church hall. And I listen, nodding, knowing what it feels like to be crazy strong. And knowing how exhausting and overwhelming it is to be crazy strong all the time. And knowing how isolating our crazy strength makes us. By projecting an image of stoic survival, we are strong alone, not allowing others to see how much we are hurting. Becky said she doesn’t talk much about their family’s daily struggle because it’s too much. And so this muchness, wrapped up inside our hearts, does make us crazy strong because we have to be or else we would collapse. But keeping all of the muchness inside, not talking about our challenges, also is harmful to our own wellbeing. Sure we can be crazy strong and sometimes we have to be in order to survive. But to thrive in the face of mental illness we need to free ourselves to be vulnerable with one another. And in our weakness we will find solidarity, and community, in our unguardedness we will find solace. Becky’s tears were holy things that told another story. It’s in the listening and seeing of each other’s stories that we can begin to heal. I reblogged this to facebook and to my blog. Thank you for finding the words I can’t find the words to say right now, and for having the courage to say them. I will use them to begin a conversation with my church family.